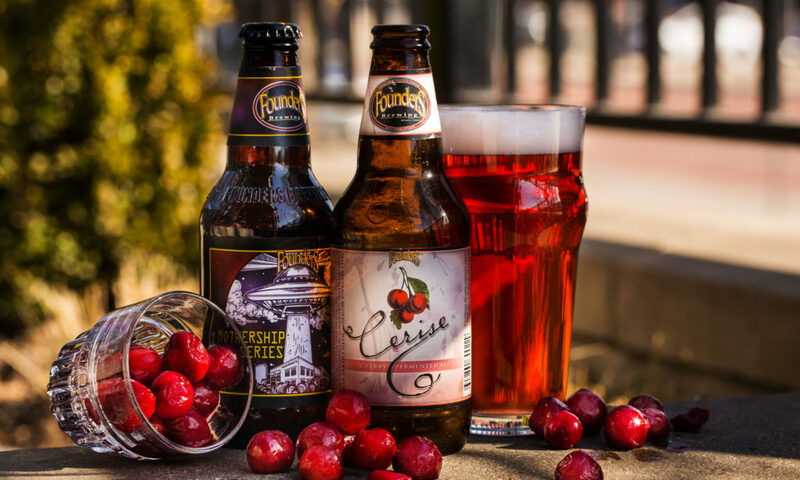 New Mothership Series Beer Release: Cerise - Founders Brewing Co.
Posted on March 28, 2019 by Founders Brewing Co. There are a few things that are quintessentially ‘Michigan’ and many would argue that cherries top that list. We brewed Cerise as a celebration of our home state’s official fruit, showcasing what Northern Michigan does best. Ruby red in color and brewed with 100% tart, Michigan cherries, Cerise is as close you’ll get to tasting the real thing without picking it off the tree. 5.7% ABV. Cerise will be available exclusively in both taproom locations on draft and in 6-packs beginning on April 19. It will have a price of $12/6-pack. It is preceded by Red’s Rye IPA, Sleeper Cell, MF Donkey Stout, Panther Cub and Barrel-Aged Imperial Stout in the Mothership Series. Make sure to follow us on Twitter, Facebook and Instagram to stay up-to-date. Nope – only available at our taproom locations!